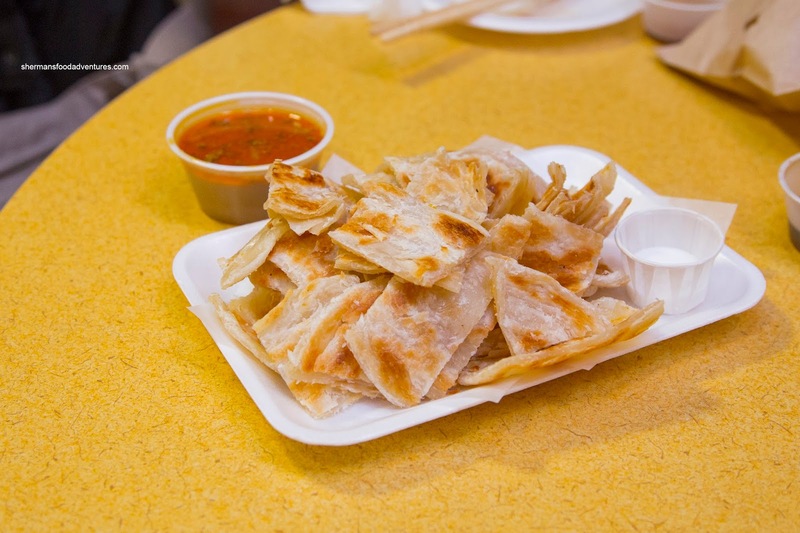 Sometimes, all we need is a quick and relatively inexpensive meal that doesn't involve the golden arches. 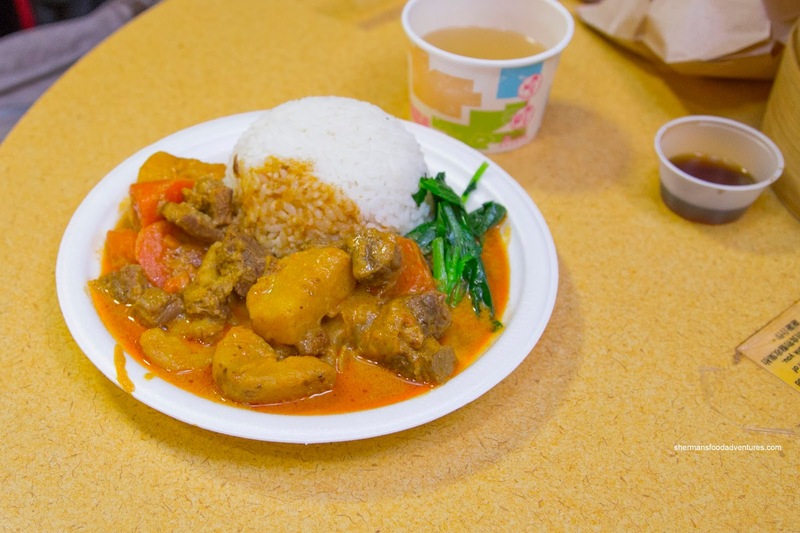 Often intentionally overlooked is the Crystal Mall food court due to a variety of reasons including the infamous round parking lot, lack of utensils and if you buy from multiple vendors, you may not be able to sit down and enjoy your meal. 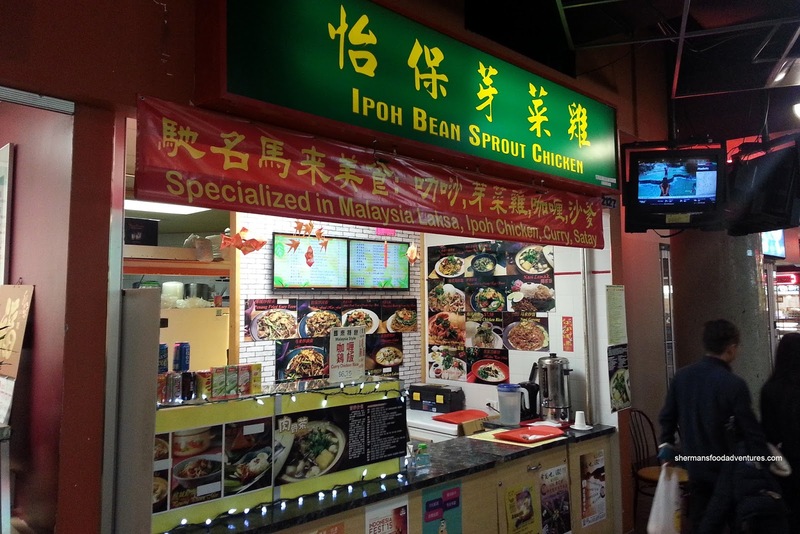 Despite these challenges, I do occasionally visit the place since the food can override the challenges. On 2 separate visits, I tried a variety of items, unfortunately each time, some were sold out. 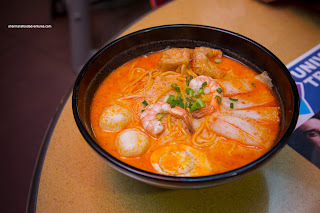 However, looking rather legit, I did get to try the Singapore Laksa which featured the usual sliced fish cake, tofu puff, shrimp and boiled egg. 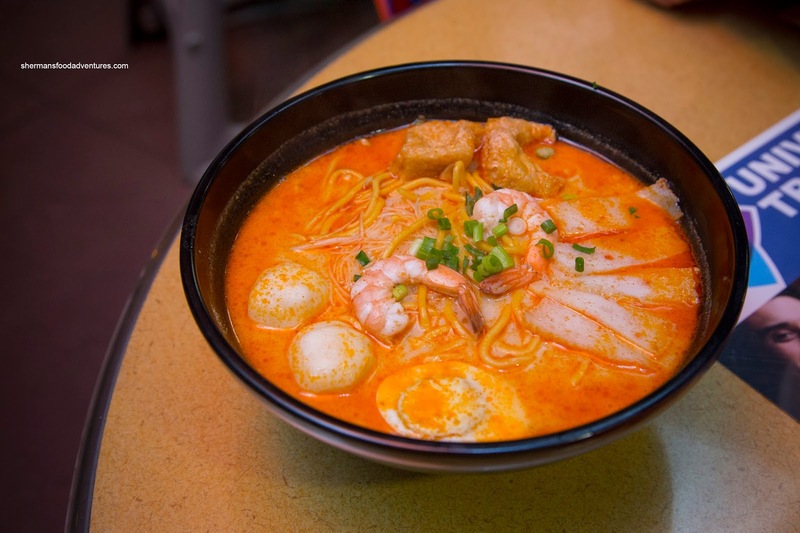 With a healthy portion of both rice vermicelli and oil noodles, the laksa was filling. Although a bit thin, the broth was on point with a noted coconut milkiness supplemented by a background shrimpiness and obvious spiciness. Still, we would've liked to see more pronounced flavours. We weren't as impressed with the Hainanese Chicken Rice where the deboned chicken leg was a touch dry. The skin was nicely gelatinized though while we were supplied with the usual condiments. 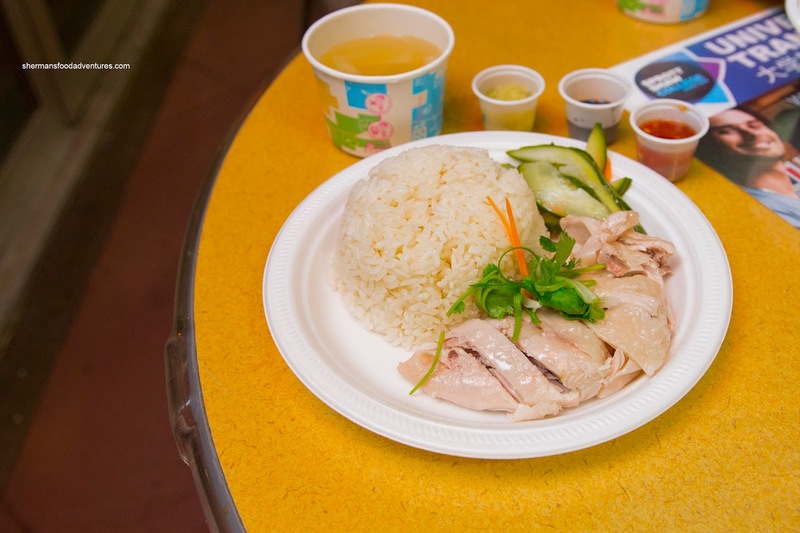 Nutty and chewy, the chicken rice was decent yet could've used a bit more punch. On our second visit yielded 2 orders of the Roti Canai. Although rather flat and dense-looking, it was actually decent. The exterior was decently browned and crispy while the inside was soft albeit with compressed layers. It was seasoned enough to stand on its own, but the side of curry dip helped. I would've liked to see it more impactful though. That would be the same for the Curry Brisket with rice. It was fine with balanced flavours including a background sweetness. For me, it was too mild though. The chunks of brisket were a bit small which meant they weren't as moist as it could've been. 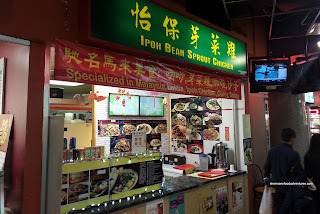 Although it was generally hit and miss with Ipoh Bean Sprout Chicken, I'm still open to trying more items the next time I'm at Crystal Mall.